Click above image to watch orientation videos. 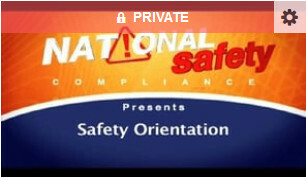 Watch our general safety orientation and forklift safety videos for our employees. Click above image to login to ADP Webcenter. Allows access to print and view your pay statements online. If you have not received registration information via email, please contact us at 864-234-8788. We currently use Global Cash Cards as our provider of pay cards. Your paycheck is deposited on the card and you can either withdraw the total amount at an ATM each week or use the card like a debit/credit card. Fees do apply for some transactions but there is no monthly fee. To find out more information, visit the Global Cash Card website. Click above image to login to Vensure. Please click the Vensure logo or this link https://mypayroll.vensurehr.com/HrpWeb to access RL associate information (pay statements, W2). You do not need to "register" on the website. All you need to do is click the link and type your SSN with the dashes as username and password. To review data prior to 3/23/15 use ADP System. You may also refer to your employee handbook for more details concerning these benefits.